Mad Riders is a new edition to the extreme racing genre, it has a different feel like no other racing game. This racing game is much faster than most of the other driving games we have reviewed, with great control over your the games racing quads. In addition you can customise your own vehicles with the latest gunning power to win big races, you do this by collecting and unlocking different levels in each race, doing this you have to do tricks and stunts on jumps and landing them really well. Also with regard gameplay you can collect nitros by catching red cirlces, by collecting these you will have extra power when entering ramps or hills. You have a tropical selection of 45 tracks to set your eyes upon right across the world from North to south. This really is a fantastic racing game, fuelled by out of this world graphics, sounds and general game play elements. With it’s speedy powerful gameplay you just about control the vehicle, with soo many obstructions on all the tracks it’s very hard to keep in line, The scenery is very intense and so deeply powered with the indepth graphics at the speed of which the vehicles goes at. The Mad Riders game is a top game that is highly recommended to all fellow gamers who enjoy a great challenge as well as playing a game that is great value for money, a classic Ubisoft game created by people who really appreciate what the player wants. We have also compiled a Review System for this game, of which the The Mad Riders Game is Rated as Five Stars, the highest possible score available from the Game Reviews Team. This driving game review was a pleasure writing as NASCAR The Game is a quite unbelievable action packed Nascar game for the Nintendo Wii. The Driving Career mode is very comprehensive, packed with over sixty Nascar driver sponsors and excellent events and career development options. This incredible driving game also sports seasonal options as well as individual season competitions, ensurung a very realistic NASCAR driving experience. There are also online internet playing options in this driving game, this option is a brilliant add on to an all ready incredible game. 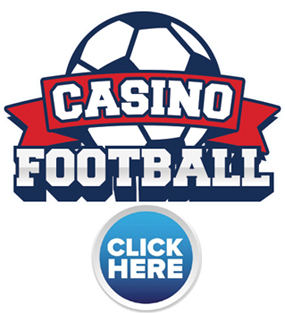 In addition the game supports Sixteen players for individual racing competitions, a fantastic online experience is guaranteed. 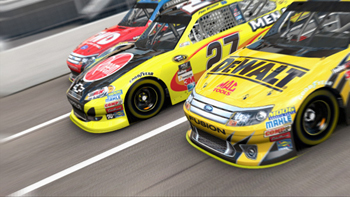 In addition to the Great game play, sounds and online options, NASCAR The Game also offers the option to play against the All Time Greats in the NASCAR profession, another outstanding option added into this game that we just had to mention. 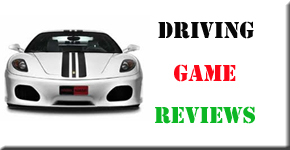 Our Game Reviews Team have thoroughly enjoyed this Driving Game, a real classic and much awaited addition to Car based games, one that is in the Top 5 games that we have ever played and reviewed. There are also additional elements to this great game, such as the Spray, Paint Booth, allowing players to paint there own individual designs and graphics. The Driving Tracks exceed twenty types from the NASCAR arena, adding yet again another incredible addition to this drviving game. 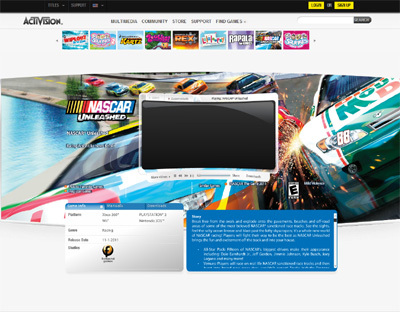 We have also compiled a Review System for this, of which NASCAR The Game is Rated as Five Stars, the highest possible score available from the Game Reviews Team. This great new car racing game has become a sensation with Formula One enthusiasts all over the world. The F1 Race Stars game is packed with excellent graphics and sounds, a very impressive creation by Codemasters, this is by far one of the best interactive racing games of 2012. The Game was released on the 13th November and has reportedly sold out in most UK game stores, we are not surprised as our Game Review team argued who was going to play this great game next. The game is also set with HD which is a fantastic additional feature, which we have tested whilst playing on a 50 Inch screen, with surround sound. The formula 1 elements of game play offer the well known real life racing drivers such as Lewis Hamilton, Mr Vettel and many more, ensuring a realistic balance with this genre of game. The track curcuits are simply breathtaking, with great attention to detail to the real life tracks as well as the racing driver emotions and skillsets. By far a great game for anyone who loves racing and of course Formula 1. 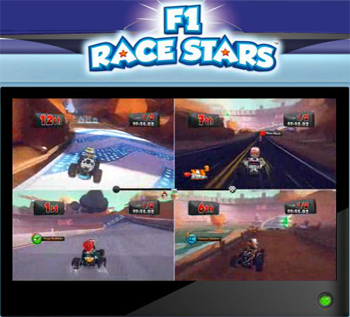 We have compiled a Review System for this, of which F1 Race Stars is Rated as Five Stars, the highest possible score from the Game Reviews Team. One of the most highly anticipated racing games of the year has finally landed and oh boy is this all new edition of the Ridge Racer series one to watch for all you fans of this genre. Like with all Ridge Racer games the plot of the game is to race and defeat as many of the opposing drivers as possible as you race your way from one side of the country to the other. Ridge Racer 3D has many all new features with the most outstanding being the huge collection of cars the gamer can choose from and each of these can be customized however you want it. The race courses are some of the most detailed we have seen to date and feature stunning backgrounds which really do depict the various locations that the races take place. We had so much fun playing this game as it is easy to get to grips with even for the novice gamer and even after many hours we found ourselves just as interested in its as we were the first moment we got it which is very rare. The graphics on their own are more than worth the price of this game as they are just immense and the game runs brilliantly in every way so we are totally sure this will be a huge hit with fans of this style of game. 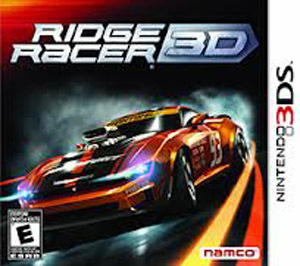 We have compiled a Review System for this, of which Ridge Racer 3D is rated as Four Stars, the second highest score from the Game Reviews Team. The Game Reviews Team was lucky enough to get a preview of the all new racing game from the team at Digital Reality in the form of Bang Bang Racing and we what we found out about this game is it is completely brilliant in every way possible. The game is basically a racing format game where players will participate in a wide variety of races across many different locations using well crafted and high flying motor vehicles. The game is outstanding in almost every way with innovative game play features which really do excel the game into a league of its own. This coupled with the excellent and revolutionary graphics makes this one to watch for sure as we had so much fun playing it and it easily brought out our competitive edge as we worked our way around the race tracks. The only other thing we can say about this game is that we have waited a long time for a racing game of this calibre and it was well worth the wait hence the great review score we have awarded it. 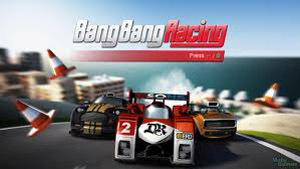 We have compiled a Review System for this, of which Bang Bang Racing is Rated as Five Stars, the highest possible score from the Game Reviews Team. There have been so many editions of the Mario Kart series that we were slightly dubious when we first received our copy of the new Mario Kart 7 game from Nintendo as we could not see how the last game could have been improved on. The truth is we are very glad we were wrong as we found this new version of the title to be so much better than the last one even though we did not think this was possible. 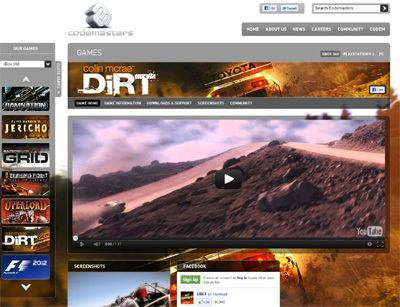 The game offers all the usual features from the series such as highly detailed race tracks that last forever and have many brilliant features such as jumps and pits. Many of the tracks have taken a whole new life with them now taking place over land, sea and in the air and we can only describe the setting of the races as like being in a dream world. The graphics have been improved but still contain the original feel of the Mario Kart series and run smoothly throughout the game making it thoroughly enjoyable and great fun. 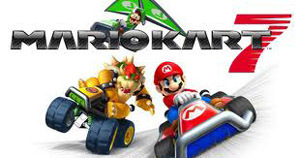 The game play as always is filled with fast paced and highly addictive racing action with all of the usual characters such as Luigi and Bowser. Great game that we absolutely loved and fans of the series will most definitely take this on straight to their hearts. We have compiled a Review System for this, of which Mario Kart 7 is rated as Five Stars, the highest possible score from the Game Reviews Team. 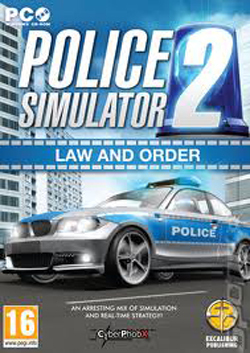 You can now take the law into your own hands in this all new edition of the extremely successful Police Simulator 2 series. Once again gamers are charged with tacking all criminal activity in the area from high speed car chases to bank robberies in this exciting edition of the game. After many hours of reviewing this game we have to say that it is great fun right from the word go and certainly one of the most enjoyable and realistic games of its kind available today. 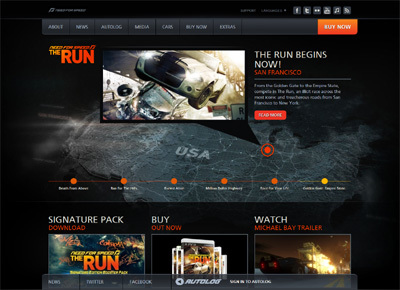 The games graphics are tremendous and offer highly detailed cars and scenes throughout the game. All in all Police Simulator 2 is a masterpiece and one of the best we have played and it thoroughly deserves every bit of its perfect review score from the Games Review team. Well what can we say about this absolutely phenomenal racing game as from everything we have seen about this game it looks to be one of the best car racing games ever to be released into the gaming world. This all new edition of the extremely popular and multi award winning Test Drive series of games focuses on the Ferrari cars which have been seen as some of the most luxurious cars ever to be created. Players will be able to choose the Ferrari of their choice and then compete with their car against many of the best Ferrari models ever to be released and we can tell you this looks like great fun from start to finish. The game has many different race tracks which have been designed to create one of the most realistic racing experience ever and it does just that as we have never seen a game that look so real as this one. Both the graphics and game play look tremendous and offer many different things that we feel will make this game a gobal hit immediately. 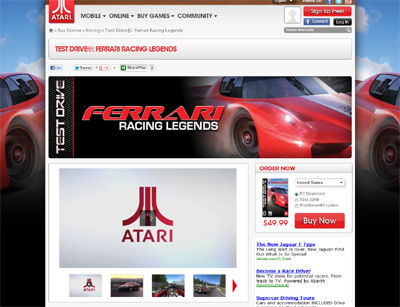 We have compiled a review system, of which Test Drive Ferrari Legends is Rated as Five Stars, The highest possible score from the Games Review Team. Downtown Run is the driving / racing game that everyone has been talking about and after many hours playing the game I can see exactly what they are talking about. The game has some of the best graphics I have ever seen on any racing game and is completely addictive from start to finish and features some of the best graphics I could ever have wished for. I really like this game and cannot recommend it enough to you all. 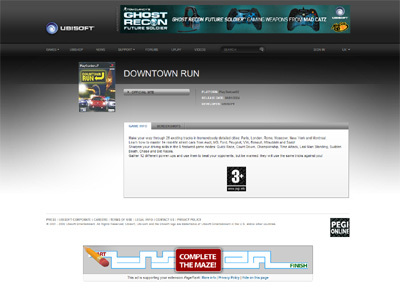 We have also compiled a Review System for this, of which Downtown Run is Rated as Five Stars, the highest possible score available from the Game Review Team. F1 Racing Championship for the PC is one of the best high speed car racing games I have played in my many years of reviewing these games. The game is simply awesome in every single way and has some of the smoothest running graphics of any game in its class. 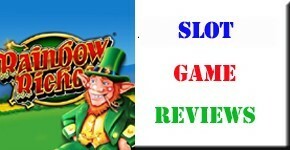 I think you will enjoy this game just as much as me and if you do you just will not be able to put it down. 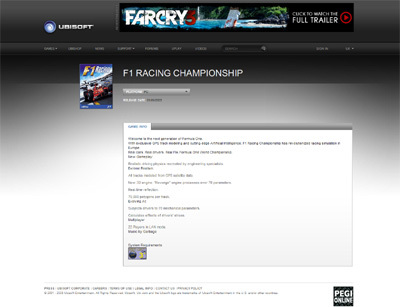 We have also compiled a Review System for this, of which F1 Racing Championship is Rated as Five Stars, the highest possible score available from the Game Review Team. Crazy Frog Racer is one of the most wacky racing games I have ever played and it provided me and the team with many hours of competitive fun and excitement. The game really is very light hearted and easy to follow and the controls are very easy to pick up also but I found after a few hours I had enough of the game and have not played it since so I have awarded it three stars. 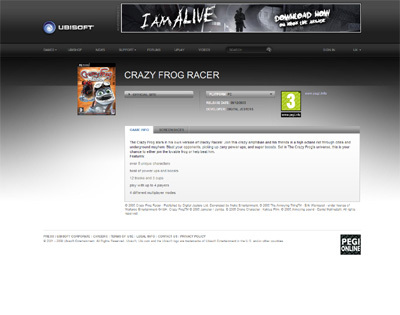 We have also compiled a Review System for this, of which Crazy Frog Racer is Rated as Three Stars, the third highest possible score available from the Game Review Team. Driver Parallel Lines is one of the best Driver game I have ever had the pleasure of playing and I just cannot stop playing it if I am honest. The game has some of the best race tracks I have ever seen that really do challenge players to be at their best if they are wishing to compete. The graphics and game play engine are also phenomenal and provide an air of realism that you usually do not find in a game of this type. 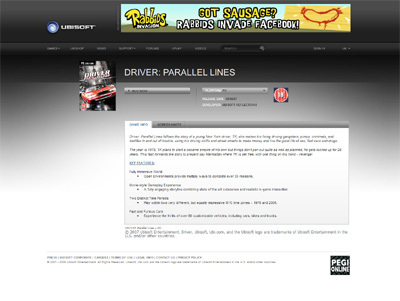 We have also compiled a Review System for this, of which Driver Parallel Lines is Rated as Five Stars, the highest possible score available from the Game Review Team. Trackmania 2 Canyon is the all new edition of one of the most popular PC video games of the past decade and I have to say it is a fantastic game in many ways. I love the way the team at Ubisoft use their graphics to make the racing that much more realistic as this makes this game exactly what it is. The tracks are very challenging indeed and you will need to be on the top of your game if you are going to win in the long run. 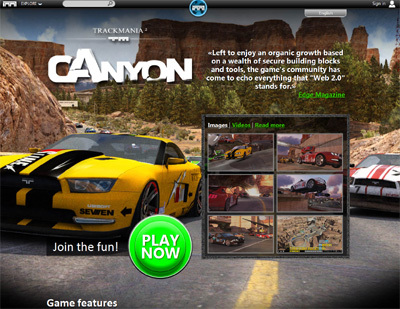 We have also compiled a Review System for this, of which Trackmania 2 Canyon is Rated as Five Stars, the highest possible score available from the Game Review Team. Import Tuner Challenge is by far my favourite racing based game and I cannot recommend it enough to everyone. The game is one of the best graphically I have played and the cars look so realistic it is unreal and the way the cars handle shows of exactly how good the game play engine really is as it is phenomenal. The race courses are extremely challenging and provide a stern test for any racer and the computers A.I is also very good and certainly hard to beat. Awesome game! 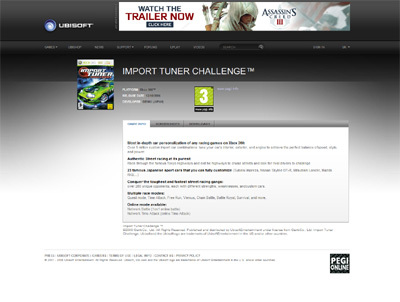 We have also compiled a Review System for this, of which Import Tuner Challenge is Rated as Five Stars, the highest possible score available from the Game Review Team. Monster 4X4 World Circuit is a extremely good and popular monster truck racing game that will be sure to give you hours upon end of endless entertainment. The game has very good graphics which are used really well to portray the vehicles within the game and in one player racing mode it is very challenging indeed. 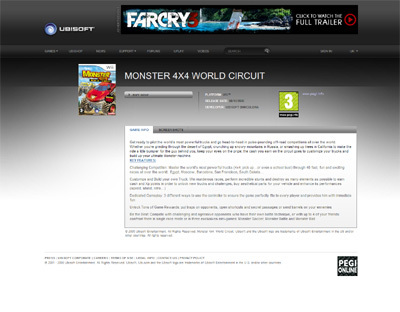 We have also compiled a Review System for this, of which Monster 4X4 World Circuit is Rated as Four Stars, the second highest possible score available from the Game Review Team. Wheelman is the game everyone has been talking about as it is not just the usual driving game or adventure game but it mixes the two entities perfectly to create a whole new gaming experience. The game has flawless graphics which work very well with the games game play engine and the story within the game is very captivating indeed. 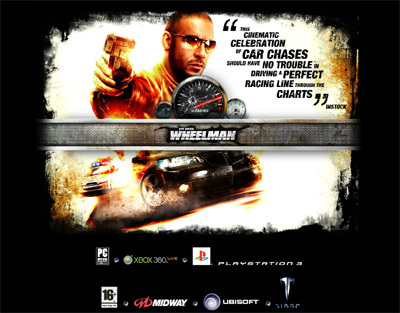 We have also compiled a Review System for this, of which Wheelman is Rated as Four Stars, the second highest possible score available from the Game Review Team. Galaxy Racers is the all new futuristic racing game that has received many great accolades since its first release on the Nintendo DS gaming platform. The game itself is fantastic and really throws you into the hectic speedway world of space racing with its innovative graphics and plot it really is a great game. 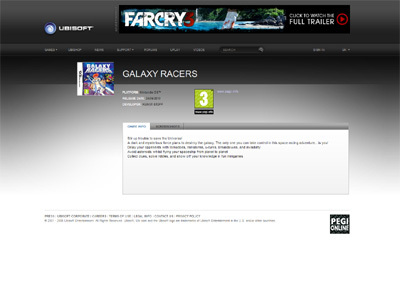 We have also compiled a Review System for this, of which Galaxy Racers is Rated as Four Stars, the second highest possible score available from the Game Review Team. Driver Renegade is the all new driving game that has been critically acclaimed as one of the best creations within the gaming world for the past decade. With this in mind I was rather disappointed when I first played the game as it did not live up to my expectations in any way. Not to say the game is bad but I really did expect more from such a highly regarded game. 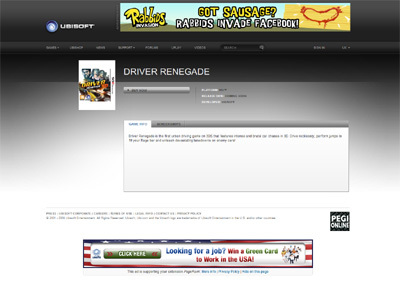 We have also compiled a Review System for this, of which Driver Renegade is Rated as Three Stars, the third highest possible score available from the Game Review Team. Fatal Inertia is the racing game of the future that everyone has been talking about and after playing it for quite some time I can see exactly what they are talking about in every way. The games graphics are simply fantastic and it really does make the game much more realistic as does the story line of the game. The futuristic racing tracks within the game are extremely challenging also and you will need to be at you very best if you are going to win the races you need. 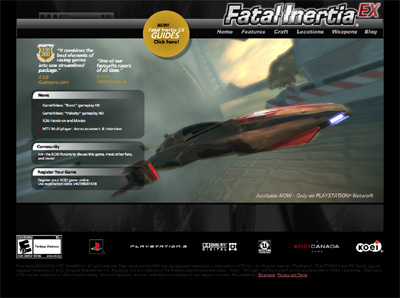 We have also compiled a Review System for this, of which Fatal Inertia is Rated as Five Stars, the highest possible score available from the Game Review Team. 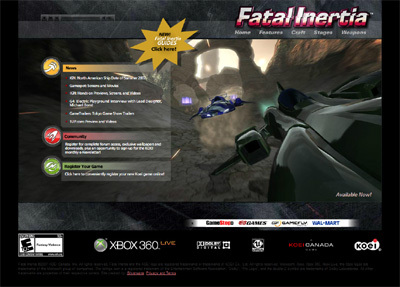 Fatal Intertia EX is the futuristic racing game that is being talked about across the whole of the gaming world and after playing it for many hours I can see exactly what they are talking about. The game is breathtaking in many ways such as its crisp and life like graphics as well as the extremely smooth running game play engine which is flawless. One of the best games i have played this year so i cannot recommend it enough to you. We have also compiled a Review System for this, of which Fatal Intertia EX is Rated as Five Stars, the highest possible score available from the Game Review Team. Midnight Club Los Angeles is the all new edition of the racing game that has shook the gaming world and this new edition does not let its predecessors’ down in any way. The game is filled with some of the best cars ever made which players can now put to the test on some of the best racing tracks and roads in the world and it is special to do this with the great graphics that have been created by the Rockstar team. 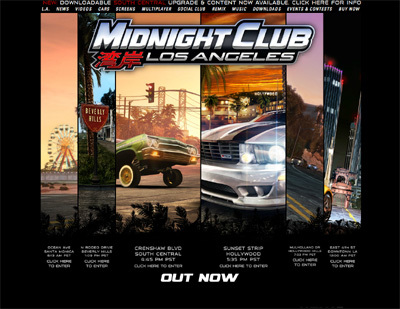 We have also compiled a Review System for this, of which Midnight Club Los Angeles is Rated as Five Stars, the highest possible score available from the Game Review Team. NASCAR Unleashed is the latest edition of the best selling racing game from the leaders in the industry Activision and oh boy is this edition the best game by far. The game is one of the slickest I have played in the series with visually stunning graphics and state of the art game play which really makes the game one of the best available today. We have also compiled a Review System for this, of which NASCAR Unleashed is Rated as Five Stars, the highest possible score available from the Game Review Team. Ferrari Racing Legends sees fans of racing games presented with one of the best driving / racing games of all time and I can promise you that it will be a very enjoyable experience. 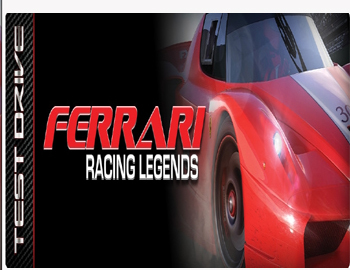 The game features all of Ferraris greatest cars which are readily available for you to use on any of the numerous challenging tracks within the game. The graphics are great and the game play seamless and I rate this game as high as I possibly can. We have also compiled a Review System for this, of which Ferrari Racing Legends is Rated as Five Stars, the highest possible score available from the Game Review Team. Test Drive Unlimited is the original masterpiece that took the world by storm when it was first released back in 2006 and is still in my mind one of the best racing games of all time on any platform. The game features many of the worlds number one racing cars and the best race courses to boot which makes the game so much more interesting. Brilliant game all round and I would most certainly recommend it to anyone who loves a good old racing game. 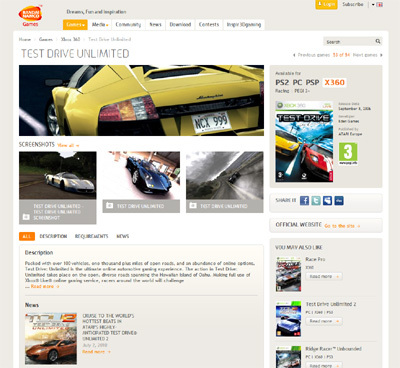 We have also compiled a Review System for this, of which Test Drive Unlimited is Rated as Five Stars, the highest possible score available from the Game Review Team. 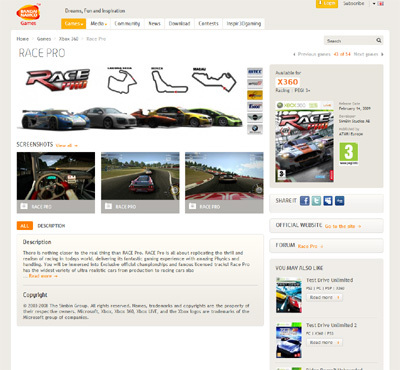 Race Pro is a new racing game from Namco Bandai that features many new race courses and cars from around the world. After playing the game for a couple of hours I was dismayed by the games lack in imagination and detail as it quickly became very repetitive which soon bored me. The graphics are ok but nothing special and the game play leaves a lot to be desired also. We have also compiled a Review System for this, of which Race Pro is Rated as Two Stars, the second lowest possible score available from the Game Review Team. Ben 10 Galactic Racing is a really fun and exciting racing based games that allows players to test their racing skills in many galactic races. The game has reasonably good graphical content and a very good game play engine but in an overall fashion I found it pretty ordinary and I soon became slightly bored after playing the game for a few hours. 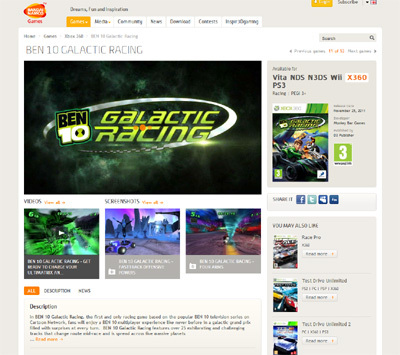 We have also compiled a Review System for this, of which Ben 10 Galactic Racing is Rated as Three Stars, the third highest possible score available from the Game Review Team. 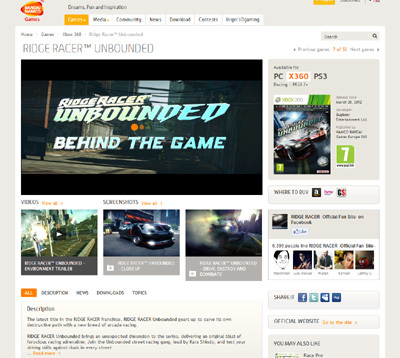 Ridge Racer Unbound is the latest edition of one of the worlds most successful and long running driving game series from the iconic Namco Bandai team. The game features many all new race tracks and courses as well as extremely detailed cars and drivers. If you are a fan of racing games then this is certainly one to have in your collection and I can tell you now you will not be disappointed. We have also compiled a Review System for this, of which Ridge Racer Unbound is Rated as Five Stars, the highest possible score available from the Game Review Team. Moto Gp 11 is one of the best Moto Gp games of the series and we had so much fun reviewing it even though it really brought out our competitive edge. The game has all new race tracks which are very challenging as well as some of the smoothest graphical content I have seen on any of the previous games. A really good game that deserves the highest score possible. 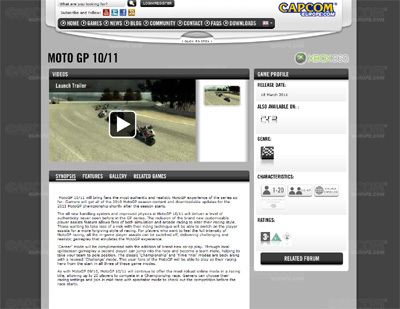 We have also compiled a Review System for this, of which Moto Gp 11 is Rated as Five Stars, the highest possible score available from the Game Review Team. Fuel is an absolutely outstanding racing game from the team at Codemasters and is worth every point of the five star rating we have provided it. The cars featured are some of the most stunning I have seen in any game due to the much advanced graphics that the game entails. I can tell you now that when you start playing you will just not be able to stop, top game all round. 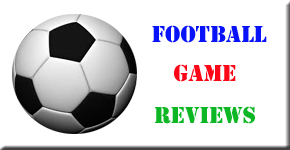 We have also compiled a Review System for this, of which Fuel is Rated as Five Stars, the highest possible score available from the Game Review Team. Formula One 2012 is one of the most stunning and entertaining racing games of the long running series and will be sure to give you as much gaming pleasure as I have received. 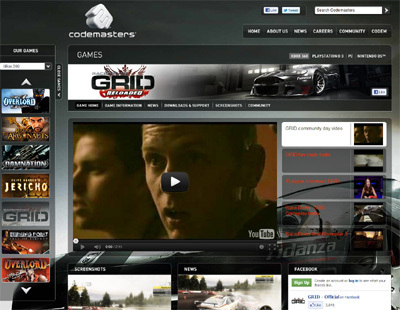 The game features all the historic and new racing circuits from around the world and uses its graphics excellently to ensure the game is the most life like of any version that has been released. We have also compiled a Review System for this, of which Formula One 2012 is Rated as Four Stars, the second highest possible score available from the Game Review Team. Colin McRae Dirt has been hammered by me and the team for countless hours as it remains one of the my favourite racing games of all time. The game is highly addictive and very challenging as you attempt to beat all the best times from some of the best racers in the world. The graphics of the game are simply stunning and really make the game come to life and this is why I have awarded this game top marks. We have also compiled a Review System for this, of which Colin McRae Dirt is Rated as Five Stars, the highest possible score available from the Game Review Team. Grid Reloaded is one of the most fast paced and exciting driving / racing games I have ever had the pleasure of reviewing and it is in two words simply fantastic. The game shows off its innovative graphics by providing you with the very best race cars and tracks that really challenge even the best console drivers. Excellent game all round and I cannot recommend it enough. We have also compiled a Review System for this, of which Grid Reloaded is Rated as Five Stars, the highest possible score available from the Game Review Team. Dirt Showdown is by far one of the best ever driving / racing games I have ever played and is just brilliant from start to finish. The game features many of the worlds best known high performance racing cars and all of the worlds best track circuits and is remarkable in the way it runs. The graphical content is superb and you can tell you effort has been spared to make it so good. Great game. 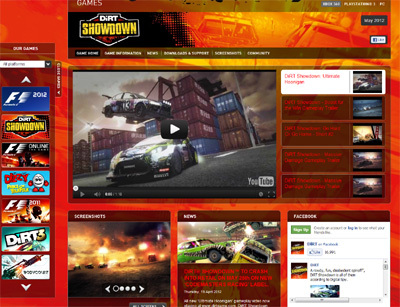 We have also compiled a Review System for this, of which Dirt Showdown is Rated as Five Stars, the highest possible score available from the Game Review Team. GTI Club is a fantastic new game from Konami that thrusts players into the hectic world of professional racing in some of the best and most famous cars on the planet. The game features some stunning visual effects and race courses and kept myself and my fellow reviewers busy for a good few hours. Great game and worth the score we have given it. 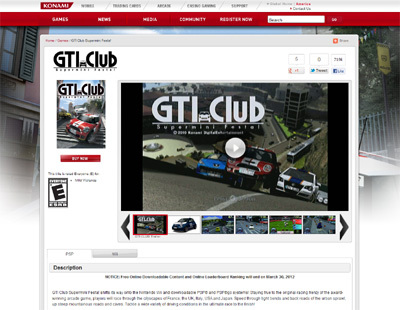 We have also compiled a Review System for this, of which GTI Club is Rated as Four Stars, the second highest possible score available from the Game Review Team. The Website address for GTI Club is: http://www.konami.com/games/gti-club-supermini-festa! Need for Speed Pro Street is a really good edition of this long running racing series that thrusts players into the hectic world of high level professional street racing. The game has some of the smoothest graphics of any driving game I have ever played and the race courses are very imaginative and realistic making this one of my games of the year so far. 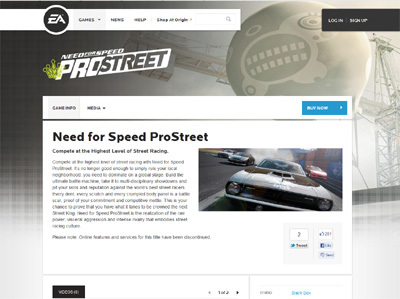 We have also compiled a Review System for this, of which Need for Speed Pro Street is Rated as Five Stars, the highest possible score available from the Game Review Team. Burnout Paradise is a game that made me jump for joy when I first had it delivered as I have played many of the previous versions and have loved every single one of them. This new edition follows suit and is very good in every way but I find it hard to rate it higher than previous versions as I believe are slightly better but this is still a great game and is very entertaining. 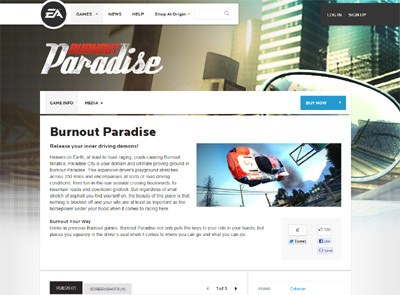 We have also compiled a Review System for this, of which Burnout Paradise is Rated as Four Stars, the second highest possible score available from the Game Review Team. NASCAR 09 is a fast action packed racing game which sees player thrust into the ferocious world of NASCAR racing and oh boy is it an exciting game. The game itself is fantastic from the state of the art graphics to the smooth running game play engine and also the A.I drivers really do provide an excellent challenge for even the most accomplished racers out there. MUD – FIM Motor Cross World Championship is one of the best games of its kind I have ever had the pleasure of playing on any platform. The game features some of the most innovative ideas and race courses of any game which coupled with the extremely proficient graphics makes it absolutely outstanding. 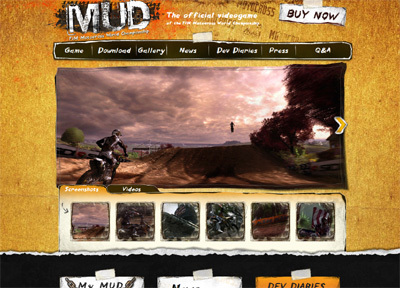 We have also compiled a Review System for this, of which MUD is Rated as Four Stars, the second highest possible score available from the Game Review Team. Dirt 3 is by far one of the most entertaining games of all time and I have personally enjoyed many an hour racing my fellow reviewers until the early hours. The graphics within the game are stunning and the game play is just superb in every way and not forgetting of course the exceptional race tracks that are incorporated into the game. 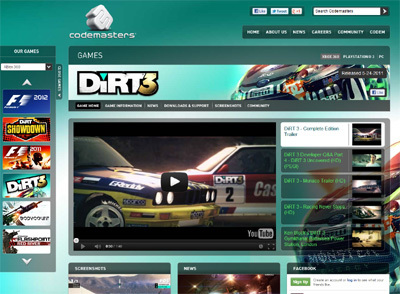 We have also compiled a Review System for this, of which Dirt 3 is Rated as Four Stars, the second highest possible score available from the Game Review Team. 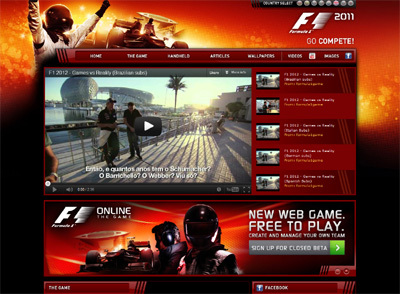 Formula 1 2011 sees the return of one of the most popular gaming sensation in the racing world and has taken the world by storm since its release date. The game features all the worlds most famous courses and drivers and provides the user with one of the most challenging formula one seasons of all time. 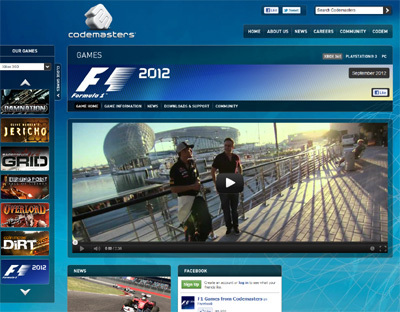 We have also compiled a Review System for this, of which Formula 1 2011 is Rated as Five Stars, the highest possible score available from the Game Review Team. Need for Speed Hot Pursuit is arguably one of the best driving/racing games of all time and has been so successful around the world. The game has won various awards and I have to say they are very well deserved as it is just flawless in every way. We have also compiled a Review System for this, of which Need for Speed Hot Pursuit is Rated as Three Stars, which is a great score from the Game Review Team. Need for Speed The Run takes over from where the previous edition left off as the best driving game you will ever play due to its innovative concept as well as of course the brilliant graphics, story line and game play. I have played this game for hours on end and I do not mind telling you I have enjoyed every minute. 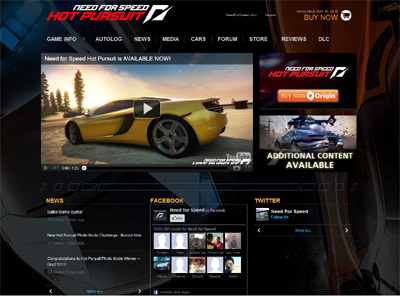 We have also compiled a Review System for this, of which Need for Speed The Run is Rated as Five Stars, the highest possible score available from the Game Review Team. Driver San Francisco is one of the hottest video games releases so far this year and has had me on the edge of my seat on many occasions as I have been entangled in many races against my fellow reviewers. The game is visually stunning and very comprehensive and provides one of the most entertaining story lines of any game of this kind. 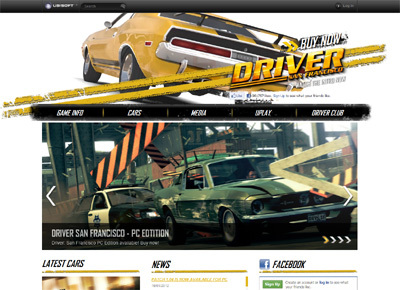 We have also compiled a Review System for this, of which Driver San Francisco is Rated as Four Stars, the second highest possible score available from the Game Review Team. Test Drive Unlimited 2 is one of the best racing games I have ever had the pleasure of experiencing and I was virtually blown away by its stunning graphics and game play engine. 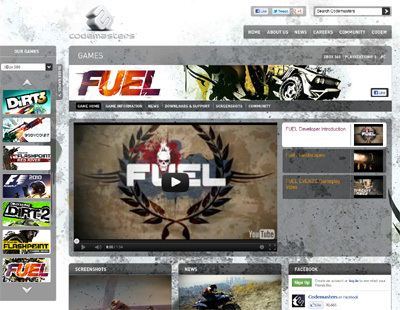 The game has some of the best race tracks ever to be created and provide gamers with the challenge of a lifetime. 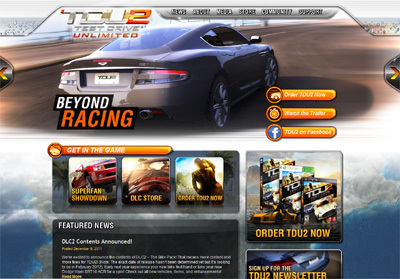 We have also compiled a Review System for this, of which Test Drive Unlimited 2 is Rated as Five Stars, the highest possible score available from the Game Review Team. 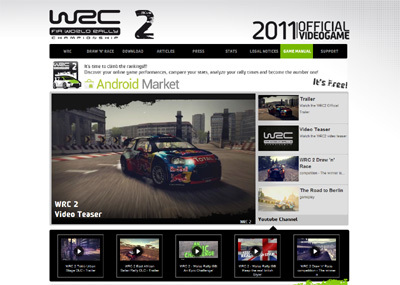 WRC 2 is the second edition of the much loved and extremely successful racing car series which has had some of the best reviews from leading critics of any driving game. The game features all new courses and challenges which will be sure to keep you on your toes and test your skills to the max in every way. We have also compiled a Review System for this, of which WRC 2 is Rated as Four Stars, the second highest possible score available from the Game Review Team. Forza Motorsport 4 is the latest instalment from the Forza Team and it is sure to blow the roof off the video game racing world. The game features cutting edge graphics that make the whole experience that much more realistic and the graphics are some of the most state of the art I have ever seen on any racing game. We have also compiled a Review System for this, of which Forza Motorsport 4 is Rated as Five Stars, the highest possible score available from the Game Review Team. 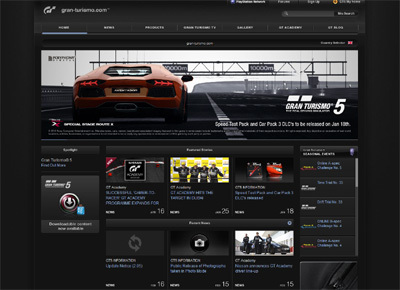 Gran Turismo 5 is one of the most exciting driving / racing games in the world today and has had great success in nearly every country in the world today. The game features extensive and entertaining new race courses as well as many new challenges which will be sure to keep you coming back for more and more. 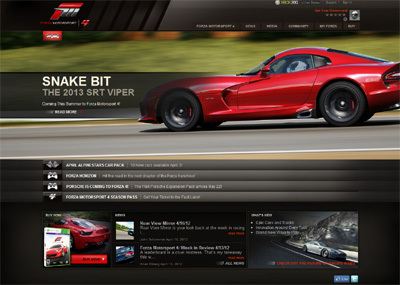 We have also compiled a Review System for this, of which Gran Turismo 5 is Rated as Five Stars, the highest possible score available from the Game Review Team.